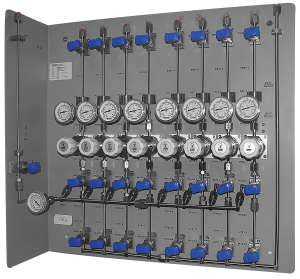 The FlexGas™ Valve Manifold Panel is designed to meet the most demanding requirements for safe handling and Ultra-High-Purity (UHP) delivery of many process gases. A myriad of configurations are available to deliver to up to eight (8) points-of-use in this compact UHP package. The FlexGas™ VMP is another example of SDC’s continuous drive and commitment to providing the industry’s safest and most reliable UHP specialty gas equipment available. 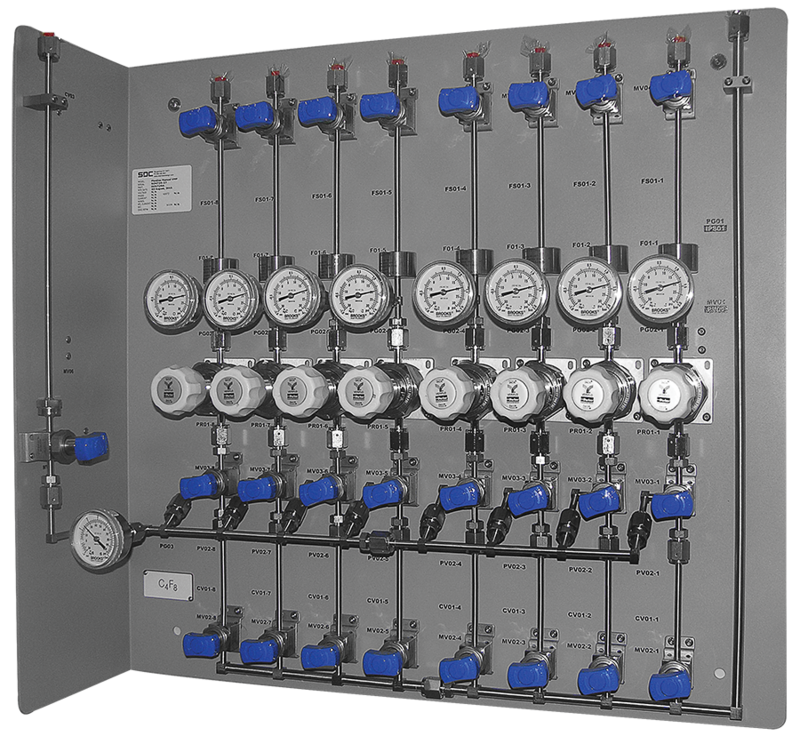 Mass customization and modular design concepts of gas panels and FlexPowr™ Controller architecture have combined to widen the product configuration. 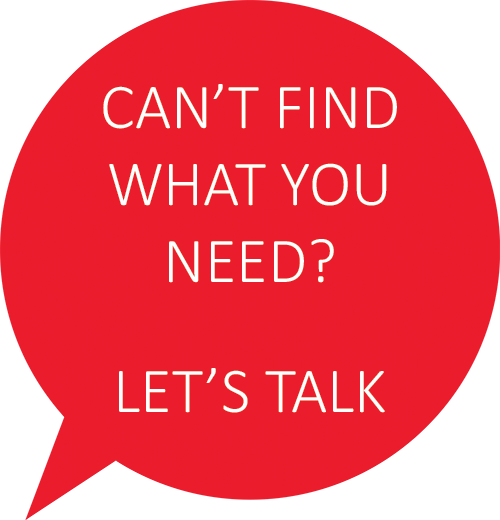 From the Fab to the Lab to the University, SDC sets itself apart as the clear choice for value in today’s budget conscious environment. All UHP orbital welding performed in a Clean Room by ASME® Section IX Certified Weld Technicians. 1Pneumatic Supply adjustable to 90 psig 1 slm max. 2Process Purge adjustable to 80 psig 30 slm max. 3Vacuum Drive adjustable to 85 psig 85 slm max.